Alastair Lovell from off-grid heating specialists Calor discusses the benefits of hybrid heating systems that blend renewables with LPG. When renovating a home, the dependability of the heating system will be a big factor, especially if the property is off the mains gas grid. You’ll want a solution that is efficient and can also cope with the energy demands of your new home. If you’re an environmentally conscious renovator, it’s likely you’ll have explored the pros and cons of renewables, however there will be concerns raised about the reliability and the installation cost of such a system. A hybrid solution that combines a heat pump with LPG – such as the Daikin system from Calor – is a great option if you are nervous about choosing a system that relies solely on green technology. The heat pump provides warmth for the home on milder days, and the gas boiler, fueled by LPG, offers a reliable secondary source of fuel to give you peace of mind that you’ll never be without heating or hot water. As a hybrid system, the Daikin Altherma heat pump combines an air-to-water heat pump with a condensing combi boiler that is fuelled by gas. By using the outside air as a renewable energy source coupled with an on-site gas supply, it allows you to generate reliable heating and hot water that doesn’t cost the earth. The intelligent system automatically selects the most cost effective mode – using either the heat pump or boiler – depending on the outside temperature and heat demand, in order to provide maximum efficiency. 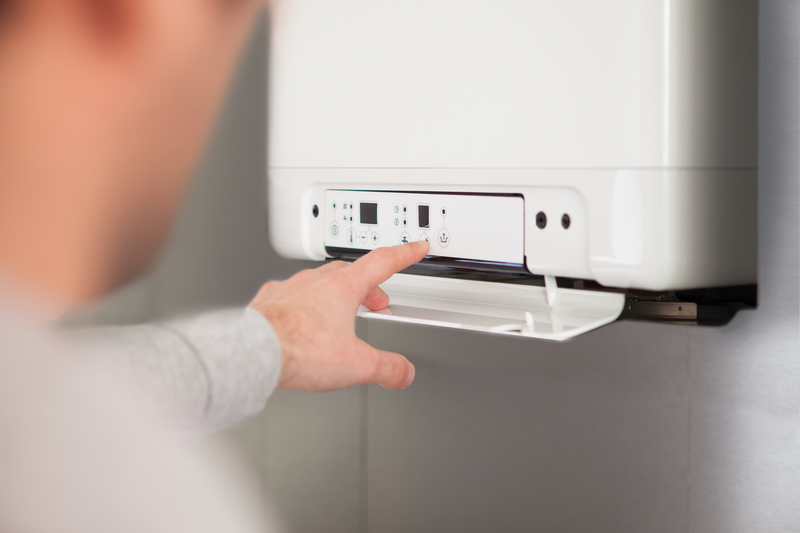 You simply input your energy tariff and the technology will deliver the lowest running cost, which could result in savings of up to 35 per cent on your gas bills, compared to a standard gas boiler. When refurbishment enthusiast Chris Andrews moved to rural Exeter, he chose to install Calor’s renewable hybrid heating system. Chris’ new home used oil for heating so he was keen to find a cleaner, reliable and more renewable energy supply. His renovation project provided him with the perfect opportunity to look at alternatives to oil and he opted for a hybrid heat pump and LPG boiler system from Calor and Daikin. “The house wasn’t on mains gas when we moved in, and the 15-year old oil boiler was fuelled by an unsightly tank in the garden. I’ve lived in a property running on oil before but have also had experience of LPG, which I found to be more versatile. So when I started looking at updating our central heating and hot water system, I was keen to use gas again. Best of all, the system is eligible for payments under the governments Renewable Heat Incentive (RHI) scheme, which pays Chris for each unit of renewable heat he generates. For more information on Calor’s renewable hybrid heating system and to find our about their latest offers, visit www.calor.co.uk or call 0800 181 4523.